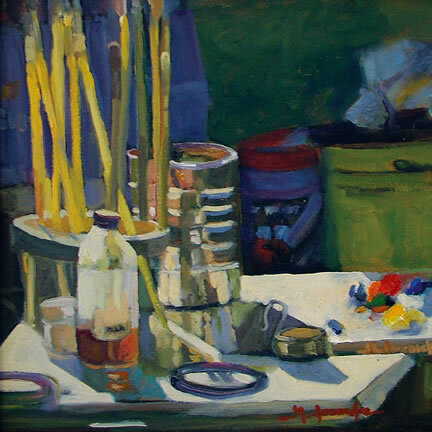 While painting in her studio with a fellow friend/artist, Marlene just couldn't settle on something to paint. Her friend pointed behind her, where the sun had lit up her paint supplies. What are friends for? Her work is often represented at Archipelago, Rockland, ME.